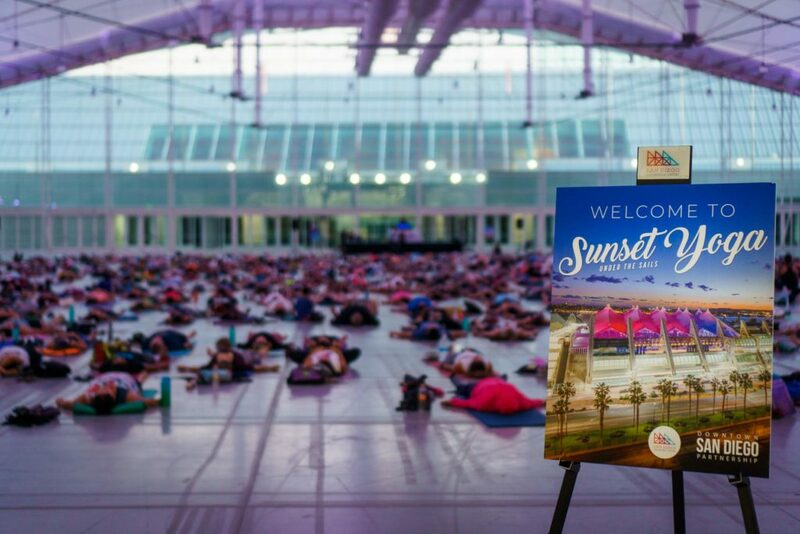 Thank you for joining us at the first-ever Sunset Yoga Under the Sails! We are pleased to announce that this event will be returning to your San Diego Convention Center on February 12th, 2019. Don’t miss out! Wondering what all the hype is about? Visit the San Diego Convention Center’s blog for a recap.